We at Geeks On-site specialize in Washington apple mac repair service in Washington DC. We also offer in home apple mac repair and in office apple mac repair services. Please call us to get a FREE PHONE CONSULTATION and ESTIMATE. Apple computers can be a great investment: they are sleek, long-lasting and easy to use. 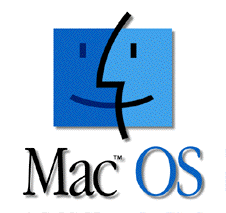 But, one of the only downsides to having a Macintosh computer is that many local computer repair centers don't provide Mac repair. This is often because Apple computers have an entirely different operating system than other PCs, and the fact that these repair services don't have the staff to handle both jobs. At Geeks On-Site, however, our group of tech experts are not only well versed in PC repair, but have also been trained in Mac repair, too. Maybe you're typing away on your MacBook Pro over an espresso at Peregrine in Capitol Hill, or you're on your iMac desktop at your apartment in NoMa. Regardless of your location, if your Mac crashes, you may be in need of a quick fix. As a local business based out of the D.C. area, Geeks On-Site not only services the entire D.C. metro area, but also provides you with a free over-the-phone consultation service you can use to discuss your computer repair options if your problems occur elsewhere. We can also send our experienced representatives to come to you to help you solve the problem in person - every time. Our Geeks On-Site professionals know how to service everything from desktop Macs to Minis to Apple's latest laptops. We can assist you with any upgrades, software and hardware issues, LCD monitor replacement and other troubleshooting concerns. We understand that problems with your Mac can affect your work, school and personal life, which is why we provide same-day and next day-service, as well as emergency service options. At Geeks On-Site, we stay local so that we can provide you with the fastest, most personalized service possible. Finding a Washington, D.C. Mac repair service that you can trust and rely on can be difficult, but it doesn't have to be if you let a Geeks On-Site skilled technician help you every step of the way. Geeks On-site offers the absolute best Washington apple mac repair service in Washington DC. We also offer in office apple mac repair and in home apple mac repair services.